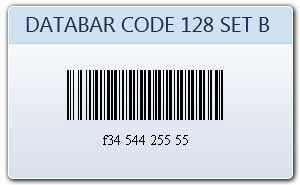 Databar Code 128 is two dimensional barcodes that includes 107 symbols i.e. 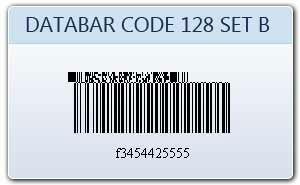 103 data symbols, 3 starts code and 1 stop character. 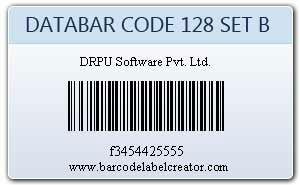 In data bar code128 barcode all 128 ASCII values are represent by three different code sets which are Code SET A, Code SET B and Code SET C. Code 128B bar code is 2D barcode symbology, whose character set includes ASCII characters 32 to 127 (0-9, A-Z, a-z), special characters and FNC 1-4.